(Nanowerk Spotlight) In electronic circuits, bits of information – 1s and 0s – are encoded by the presence or absence of electric charge. For fast information processing, e.g. in computer processors or memories, charges have to be moved around at high switching rates. Moving charges requires energy, which inevitably causes heat and gives rise to a fundamental limit to the switching rate. While today's semiconductors, which are essential to the operation of a broad array of electronics, carry along the electrical charge of electrons, they make no use of the magnetic or 'spin' properties of these subatomic particles. This has led to the development of 'spintronics', which exploits the the magnetic 'spin' properties of electrons to encode information and thus avoid the fundamental limits of today's electronics. "In addition to manipulating the charge or spin of electrons, another way to control electric current is by using the 'valley' degree of freedom of electrons," Jan Isberg, a professor in the Department of Engineering Sciences at Uppsala University, tells Nanowerk. "This novel concept is based on utilizing the wave quantum number of an electron in a crystalline material." Isberg explains the idea: "Electrons travel through crystals as waves. These waves can be described by different quantum numbers such as their crystal momentum and spin. In vacuum, an electron attains its minimum energy for zero momentum but in a crystalline material this may not be so. 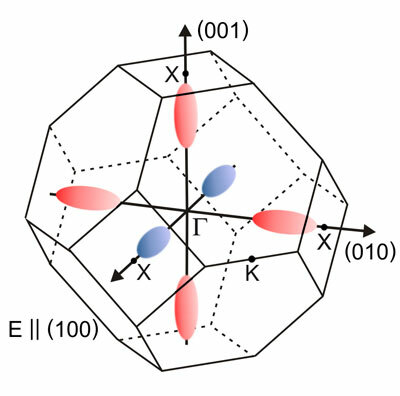 In diamond, for instance, an electron has its minimum energy for a finite value of momentum along certain directions of high symmetry in the crystal. At low temperatures electrons will reside in these valleys of minimum energy, of which there are six in diamond." In a recent paper in Nature Materials ("Generation, transport and detection of valley-polarized electrons in diamond"), Isberg and his colleagues now report the first demonstration of the generation, transport and detection of valley-polarized electrons in bulk diamond – a result which opens up new opportunities for quantum control in electronic devices. Previously, such valley-polarized states have been created in 2D materials such as graphene or molybdenum disulfide but they were very short-lived – less than a nanosecond. Isberg's team has now shown that these states are relatively stable in diamond ( 'relatively stable' means about 300 nanoseconds at liquid nitrogen temperature, 77 K) which makes it possible to manipulate them. 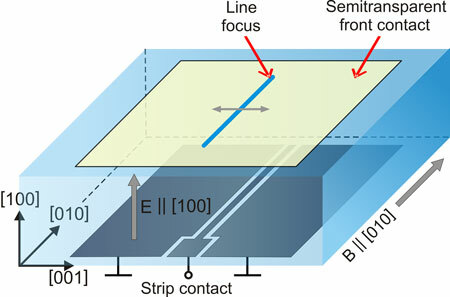 That is stable enough to be useful for information processing and in experiments the team has shown that the polarized electrons can be transported across macroscopic distances (0.7 mm) during the 300 ns polarization relaxation. "The electron polarization can subsequently be detected in a magnetic field by the Hall effect," notes Isberg. "That is, we directly detect the Hall angle of the different polarizations as a consequence of the different transport properties in the different valleys." "Our results are promising for the realization of valleytronic-based devices in diamond," he adds. "We also intend to investigate whether valley polarized electrons can be used to achieve quantum computers."